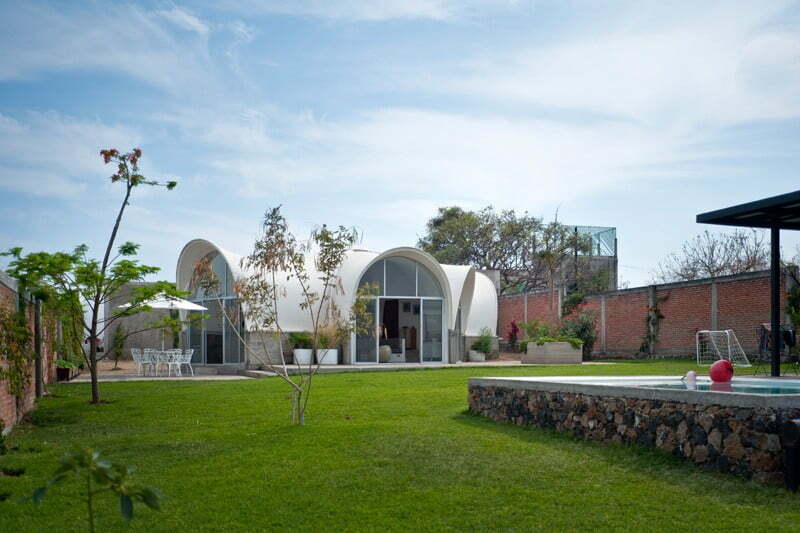 Parabolic Vaulted Ceiling House Design : Unconventional Architecture Approach In Mexico by Architectural firm Productora. 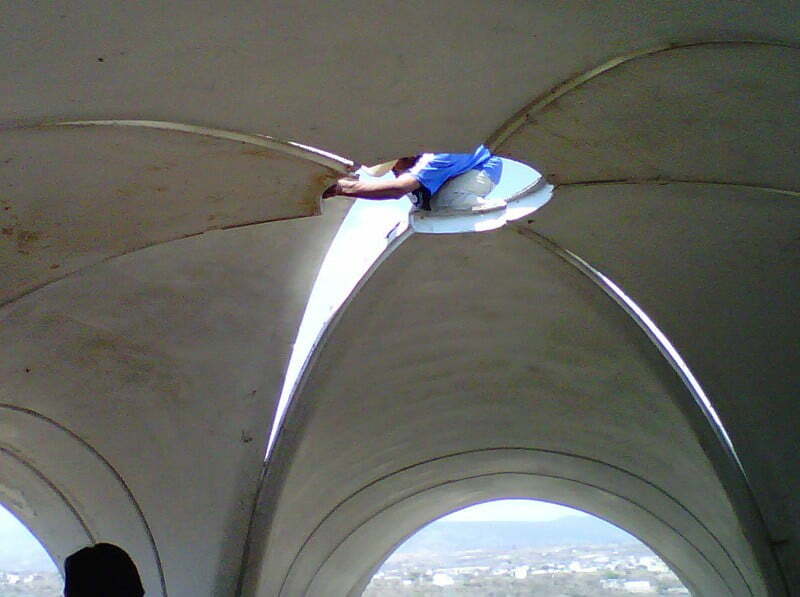 This Parabolic Vaulted Ceiling house have a interesting construction story. 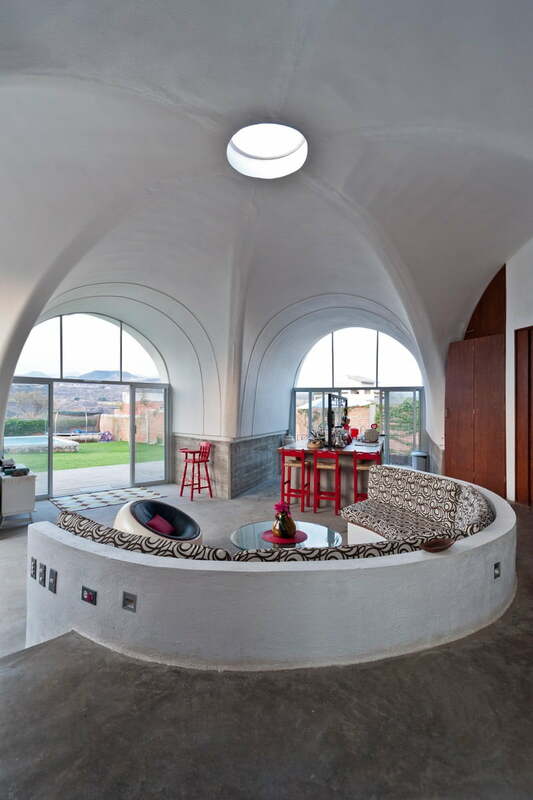 This modern parabolic vaulted ceiling house is constructed with central dome, create impressive central space of the house. 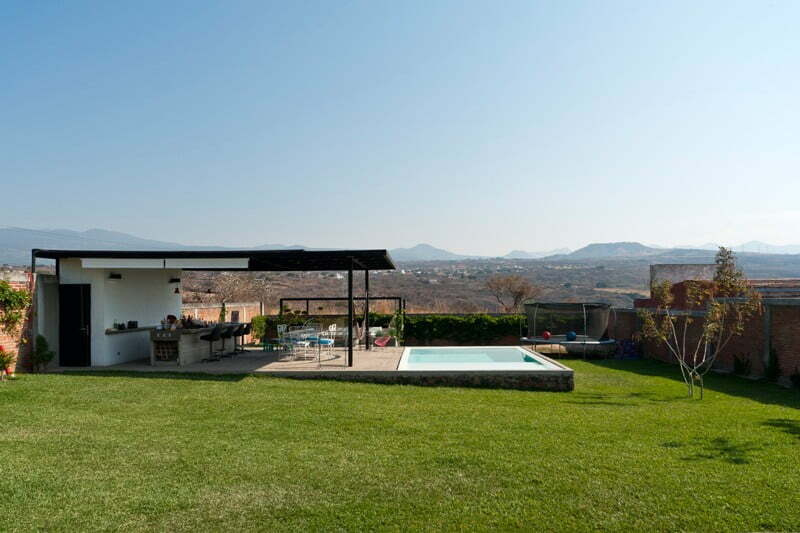 And other house amenities created surrounding of the central space with parabolic vaulted ceiling roof. 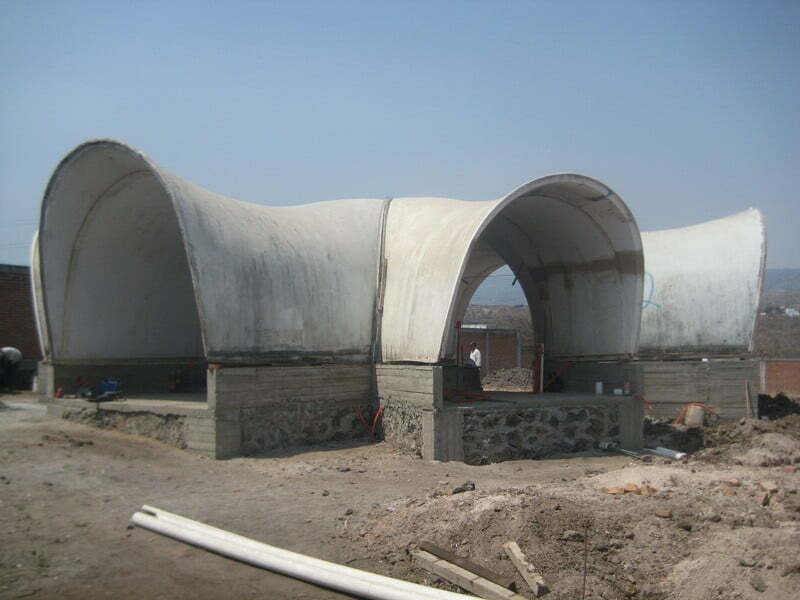 The story of this vaulted ceiling house in Mexico begun, when architecture firm PRODUCTORA was challenged to re-purpose six parabolic modules. 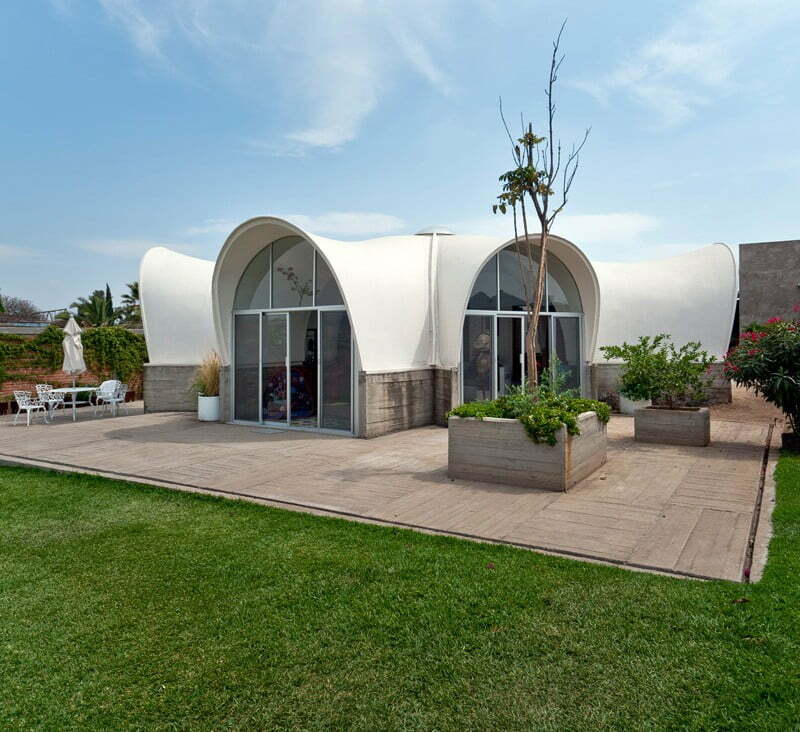 A friend of ours inherited of a number of polyester structures recovered from a modular house where they used to spend their weekends in the 1970s. 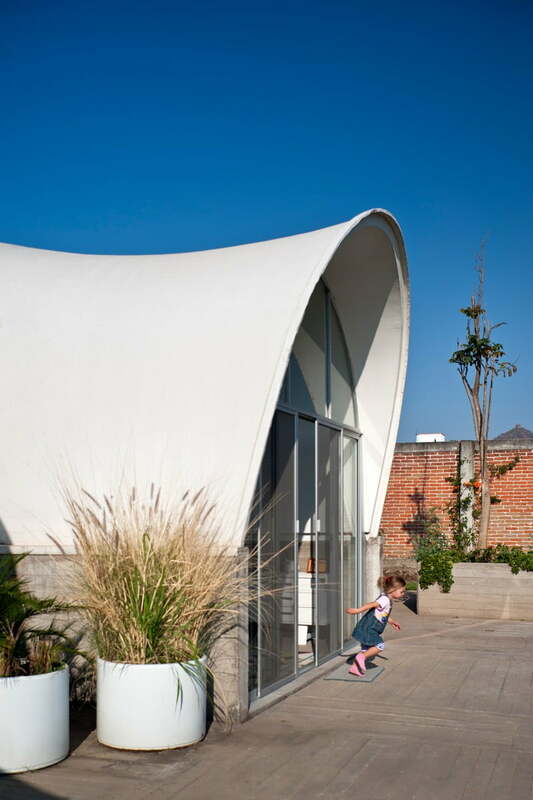 The owners bought a new plot of land in a small town, about one hour from Mexico City in order to accommodate these fiberglass shapes, the architects explained. The first step was to force the volumes back to their original shape and cover them with a new coating of polyester and fiberglass. 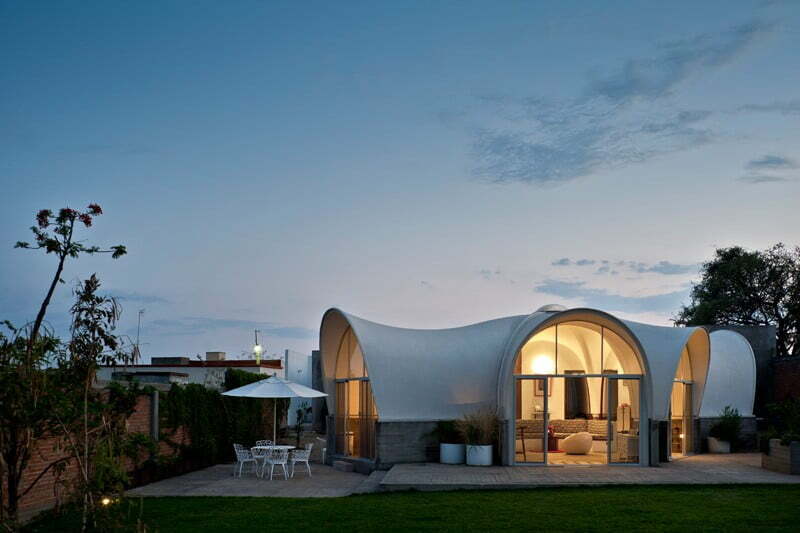 The result is a highly original residence with dome-shaped ceilings and a vibrant interior feel. 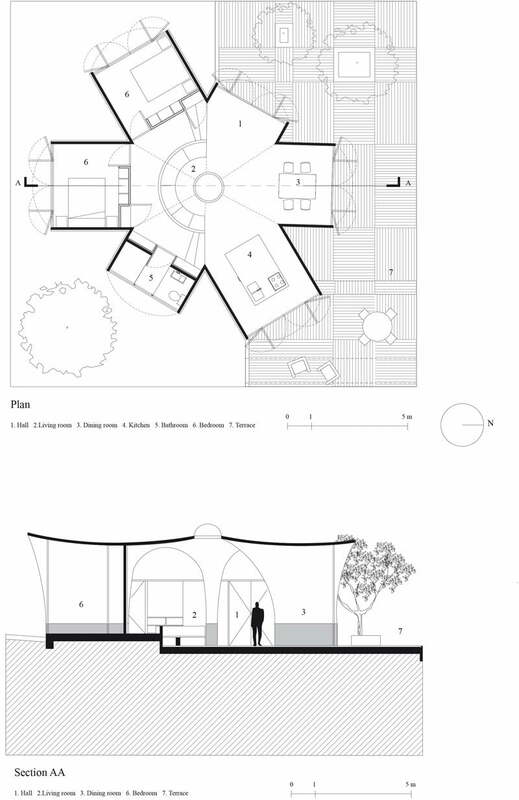 At the scale of the whole plot, PRODUCTORA gave the powerful flower-like structure of the recycled domes a central position, while all the other additions are scattered around the plot. 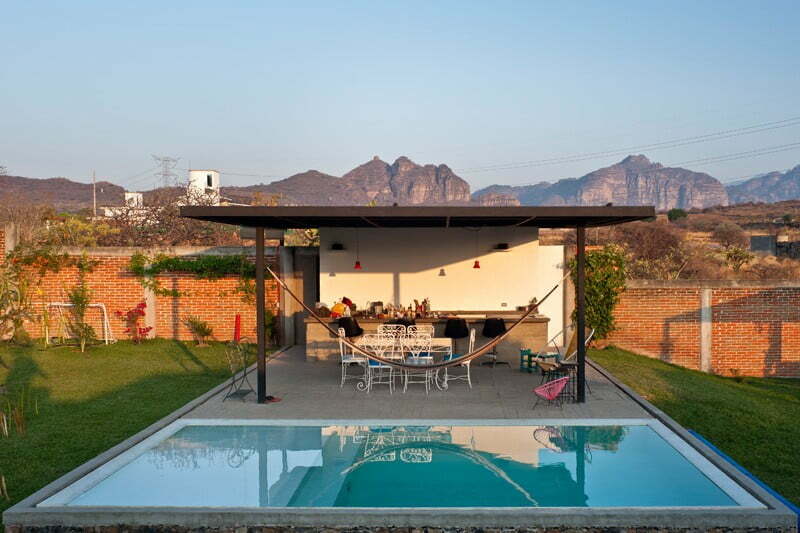 By considering the whole plot as a active field in which several activities take places, (sleeping, cooking, swimming, sunbathing, guestrooms, grill area) the whole composition loses its centrifugal straight-jacket, and becomes a more open and dynamic layout.